When you are ready too have lunch while you are wine tasting we have compiled a list of Deli’s for you too choose and order lunch. Give us some money and we will go and get it and you can keep on wine tasting. It is simple as that!!! 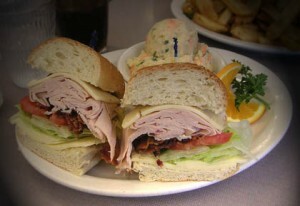 We are continually looking for new places to have a Delicatessen or Restaurant Lunch. Remember everyone that have a Deli sandwich is so much faster than a sit down at a Restaurant. I have seen lunch at a Restaurant last 2-12 hours. 3-1/2 hours at the French Laundry in Yountville CA. The point is that it takes away from your Wine Tasting Tour. Like we said above. We will go and get lunch and bring back to you to eat at the winery that has a picnic table. Just ask us.